Pro Se One Stop Legal Document Services, LLC is a non-lawyer document preparation service dedicated to saving you time and money with your legal matters and helping you to avoid unnecessary attorney’s fees. We are not attorneys and we do not offer legal advice, but we do provide high quality legal document preparation services with a high attention to detail in various areas, predominantly family and civil matters. We are conscientious of our customer’s unique, individual needs and differing scenarios. Our mission is to arm our customers with their own legal knowledge and instill a sense of confidence and security in navigating the pro se legal journey. Involvement in a lawsuit, whether brought by you or against, can be a very intimidating, emotional and overwhelming endeavor. Pro Se One Stop Legal Document Services, LLC offers personalized, one-on-one services to allay your fears and arm you with the knowledge to handle your own legal matters with utmost confidence. You will work very closely and personally with your legal document specialist to achieve your goals. Pro Se One Stop Legal Document Services, LLC is not a substitute for an attorney and we do not offer legal advice. We simply recognize the dilemma placed upon the consumer who cannot afford or chooses not to incur expensive attorney’s fees. Without any assistance in preparing legal documents and forms, many consumers go without taking any legal action or simply go at the legal system lost and alone, which often leads to devastating results. 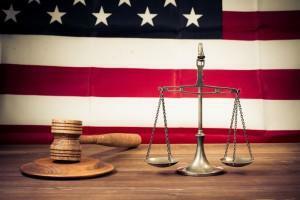 Not all legal matters require an attorney. We offer a low-cost alternative by helping you fill out and file the necessary documents and forms; and teach you how to closely monitor your case. We look forward to serving you! 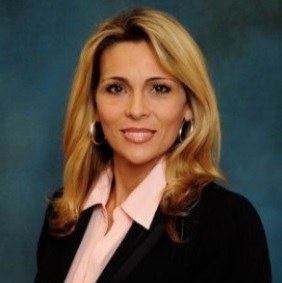 Christa Adkins, the owner of Pro Se One Stop Legal Document Services, LLC, offers highly personalized services to her customers because she has stood in their shoes and knows the fears and frustrations of navigating the legal system alone. Christa is not an attorney, but dedicates her heart and soul to helping other pro se litigants navigate the legal system and fill out their legal documents and forms. Christa has been highly successful in her own pro se endeavors. In 2016, she took her first appeal to the Third District Court of Appeal and successfully had the trial court reversed. Additionally, in 2016 she filed a successful pro se motion for disqualification of the trial judge and the trial judge was removed from her case. In 2017 Christa successfully submitted a pro se Petition for Writ of Certiorari to the Third District Court of Appeal. Her petition was granted. Aside from her family appellate matters, Christa has also been successful in small claims. In 2017 Christa brought a pro se complaint against an auto body repair shop after it made faulty repairs to her vehicle. The shop hired an aggressive attorney, but Christa successfully pushed the case to a settlement for the full amount of her claim. Although Christa cannot and will not offer legal advice, she genuinely engages with her clients, is always happy to lend a listening ear and to share her own pro se experiences. Christa encourages her customers to educate themselves of the system and the laws which she believes results in an empowered and confident pro se litigant.